What Is It About LifeListing? Recently I’ve had many questions about why I have a LifeList logo, and am posting and speaking about LifeListing. Let me share with you some of the back story that led me to this. I’ve been an outdoorsy person for most of my life, growing up in a small country town with a father who was very active, my memories are of being outdoors following him after school and on weekends. Dad was always building something, such as a ski boat, or paddle boat, (there was more than one of those) and taking me water skiing, camping or travelling during school holidays, or whenever we had the opportunity. Being outdoors and active was a way of life for me. We moved onto a farm when I was 15 and then there was a whole new list of things to do, such as riding a motorbike, helping out at sheep shearing time by working in the shed with the shearers, as well as many other outdoor activities. Driving trucks and tractors, feeding animals and harvesting wheat were all part of the day to day farm life. This may not be for everyone, but my dad was a real personality so there was always laughter and fun that went along with whatever we were doing together. I didn’t realise how much I loved being active until I began working in a corporate position in Melbourne many years later. The weekends then became my time to drive to the country with my 2 boys and enjoy spending time with them doing some of the things I used to do as a child and teenager although there was definitely a lack of freedom as I worked my 9 – 5 job. I felt as though I worked in a cave each day, and craved a different lifestyle, but also I felt I had responsibilities that had to come first, such as paying a mortgage and other financial situations that weighed heavily on my shoulders. After being retrenched from the corporate world, I still felt a lack of freedom until I decided to begin my own business. I thought there would be instant freedom, and there was to a point in that I could run my own diary, however if I was not working I didn’t have an income. Slowly my business grew and I could see the light at the end of the freedom tunnel. But, there were a few more years to go before I stopped and reassessed my life and business, simply because I was so consumed with my business that I had forgotten to have fun. This was also a hangover from my corporate position, where I certainly had lost my sense of humour and was not happy most days of the week. The LiftList is now my list of things to do in my lifetime, rather than the words bucket list, that my friend suggested were very final and harsh, even though we all know what it means. Last year and earlier this year when I stopped working to focus more on my personal development, I went back to my bucket list and began ticking things off. This gave me great pleasure and was a pleasant distraction from what I was going through at the time. I had written this list of things to do before I die many years ago and had ticked off a few things and then put the list aside. Once I felt myself light up by going back to this list, I wrote more and researched more about how a large percentage of people stop living long before they die. I felt as though I was going back to my earlier years where I was spending time outdoors, having fun, laughing and loving life. There can be many reasons why people stop living before they die, but for the most part, you forget to enjoy life and get bogged down in the day to day of work and other responsibilities. And many like me, lost their sense of fun and adventure. Now I’m on a mission to do more myself, more travel, more time outdoors, more time with my family and friends, more of everything I love and had not allowed myself the time to do, or simply forgotten how to have fun. Just this morning I started a conversation with a women sitting next to me at a local coffee place, and the conversation quickly turned to making the most of every day, I quickly learned the women I was speaking with is a very positive person who has lived a life filled with travel and things she loves. She shared the story of a friend of hers, Steve, who was admitted to hospital with a broken neck and spinal injuries after a bodysurfing accident. In an instant his life changed for the worse. Doctors told him he would be in a wheel chair, and that for him was a very low time. He refused to believe the doctors prognosis and instead made himself a promise to climb the 7 Summits. And there was born the project 7in4. He did go on to achieve climbing the 7 Summits on 7 Continents in just 4 months, which is an amazing feat by anyone, let alone by Steve who had dreamed of this from his hospital bed! This conversation got me thinking again as I continued to question why we wait for a life threatening accident, or similar to jolt us into dreaming and wanting to do more with our life. There is the point of people getting older and feeling the pressure of not knowing if they will be healthy enough to get on and do more of what they want in their lifetime before they believe they are of an age that they can still travel or live a more vibrant life. What does it take to do more of what you love each day, instead of waiting, or putting off life long dreams just because of the many excuses we give ourselves. 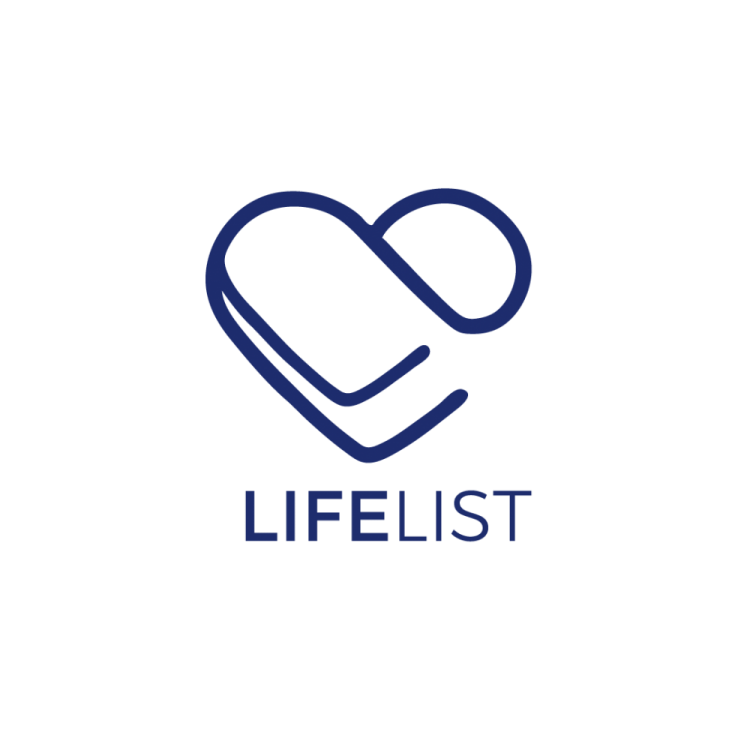 The LiftList is now my list of things to do in my lifetime, rather than the words bucket list, that my friend suggested were very final and harsh words, even though we all know what they means. For me, I am all about living life everyday doing more of what you love, that will give you a renewed sense of happiness, laugher and joy and that feeling I had when I was much younger. If you are ready to make some changes in your life to add more of what makes your heart sing, reply, or comment and let me know. Also I would love to hear from you about your stories of wonderful things you have done in your life.